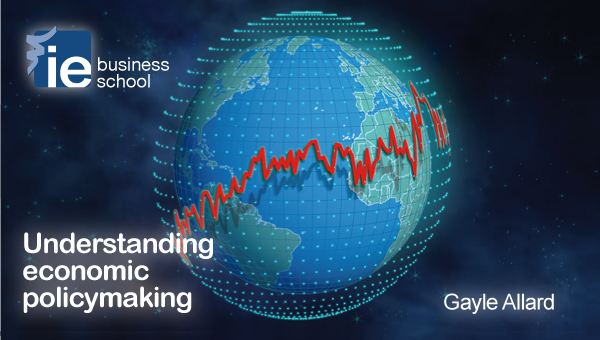 This course will employ a non-technical approach to analyze how governments use policy to influence a country's economy. Upon completing the course you should be able to discuss national debts and deficits, examine fiscal and monetary policy and their appropriateness to the situation of an economy, and anticipate the results of fiscal and monetary policies and structural reform on a country. These concepts will give you the tools to develop your own position in many current economic debates, such as fiscal stimulus vs. austerity, the merits of quantitative easing, the need for higher interest rates or the future growth path of many modern economies. When most of the material is simple, and probably would be waste of time for economics professional (or business student), I've got my pleasure from studying some basics. I would really like to recommend this source to anybody, who's not strong in economics theory, but still wants to undestand the basic political/economic decisions and discussions we may each day to see on the TV of in the newspapers. Good introduction, clear explanation, very nice models and tools shown in the course. Very simplistic approach to economic policymaking. Good for beginners. The instructor is very outspoken and clear while I'm not familiar with the university itself.